You will always be glad you walked through the doors of Primero. 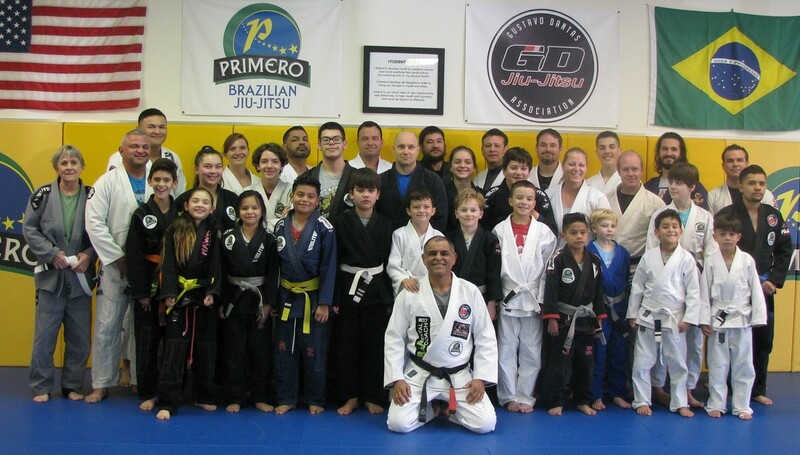 Primero is a place where you and your family can have fun, get fit and learn jiu jitsu and wrestling self defense skills in a safe, friendly and positive environment. Primero Brazilian Jiu Jitsu Academy is located in Tucson, Arizona. Established in 2008, Primero is a proud member of Gustavo Dantas Jiu Jitsu Association and Nova Uniao USA. At Primero, you will learn all aspects of Brazilian Jiu Jitsu, from takedowns and throws to ground fighting and submissions. Plus, we incorporate many aspects of Wrestling and Judo into our curriculum. Primero promotes traditional martial arts values; Attitude, Discipline, Family, Honor, Integrity, Loyalty and Respect. Growth and development comes from mastering fundamentals, so we put the "fun" in fundamentals. Whether you're looking for self protection, sport jiu jitsu or a better and stronger you, Primero can help. We offer classes for men, women and children age seven and up. We also offer private lessons and group seminars. Come see why Primero has become Tucson's premier jiu jitsu academy. You can contact Primero at the bottom of this page or on facebook by clicking on any of our facebook photos, or call us 520-888-2234.